Save Up To 50% Off! *For the best customization experience, please complete this process on desktop. $2.50 ea. $1.25 ea. $0.75 ea. $0.66 ea. $0.56 ea. 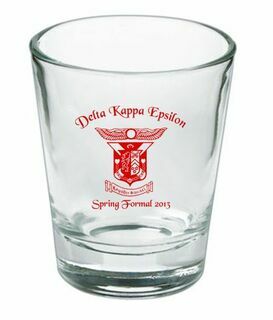 Custom printed stadium cups make great giveaways and promotional items for your fraternity or sorority. The screen printed cups come in pink, purple, orange or navy blue and are available in 16, 22 or 32-ounce sizes. 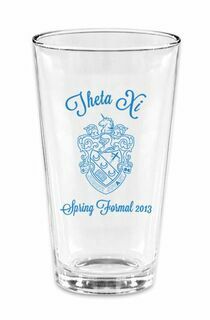 Choose your cup color and size, then create your custom design to have printed on the side. The price shown includes one color and one side imprint. Greek Gear isn't just for Greeks! These custom stadium cups can be personalized for any event. Family reunions, homecoming weekend, bachelor and bachelorette parties - the possibilities are endless, and so are the design options. Besides looking cool, our custom stadium cups are a great alternative to disposable cups. 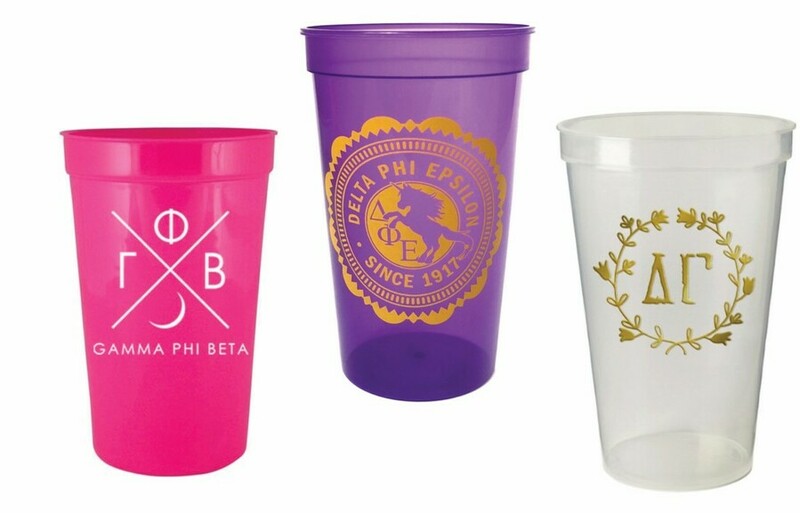 Save the environment while advertising for your favorite organization by ordering a set of custom plastic cups from Greek Gear. Interested in saving money? Our personalized stadium cups qualify for volume pricing, so you'll save more when you order more. Please note that a set up charge of $40 applies to all party favor orders. Remember, production time is not shipping time! With this selection, you are choosing the amount of time we are given to produce your item. Once produced, we still need to ship the item to you and that takes time. If you are in a rush, we suggest you choose one of our rush production options and the appropriate shipping option at checkout. We are now also offering RUSH service on many of our gift items. What this means is that what typically may take 7 - 10 business days to arrive at our facility, will now be rushed shipped to us to cut your waiting time in half. So for as little as .99 cents, you can get many of our items much faster than if you choose Normal production. Many of our items can be RUSH produced in as little as 1 day. We are now offering RUSH service on many of our gift items. What this means is that what typically may take 7 - 10 business days to arrive at our facility, will now be rushed shipped to us to cut your waiting time in half. So for as little as .99 cents, you can get many of our items much faster than if you choose Normal production. Remember, production time is not shipping time! We still need to ship the item to you and that takes time. If you are in a rush, we suggest you choose the premium ship option at checkout. Items will arrive to you within 3 business days once produced. A production day is an actual business day and not a holiday or weekend day. Any order placed after 1 pm CST will count as the next business day. 7-10 working days on the majority of our products. When noted some items may take longer. (Rush and Standard) to ensure on time arrival. 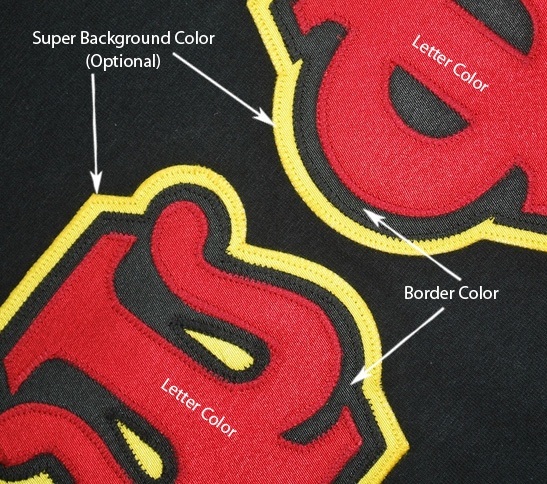 Size Selection: We typically use Gildan products because of their popularity and quality. Our shirts are unisex geared more for men. Please take that into consideration when ordering. Our fabrics are pre-shrunk however some shirts may shrink slightly after washing. Shirt Information: Ink and shirt color may vary from pictures on our website due to slight variations in dye-lots and computer screens. Body Length: Measured from high point of shoulder to hem. 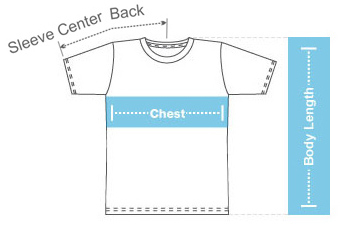 Body Length: Measured from Center Back neckline Seam. Measurement Info: Neck width is measured at seam. Sleeve length over the arem. 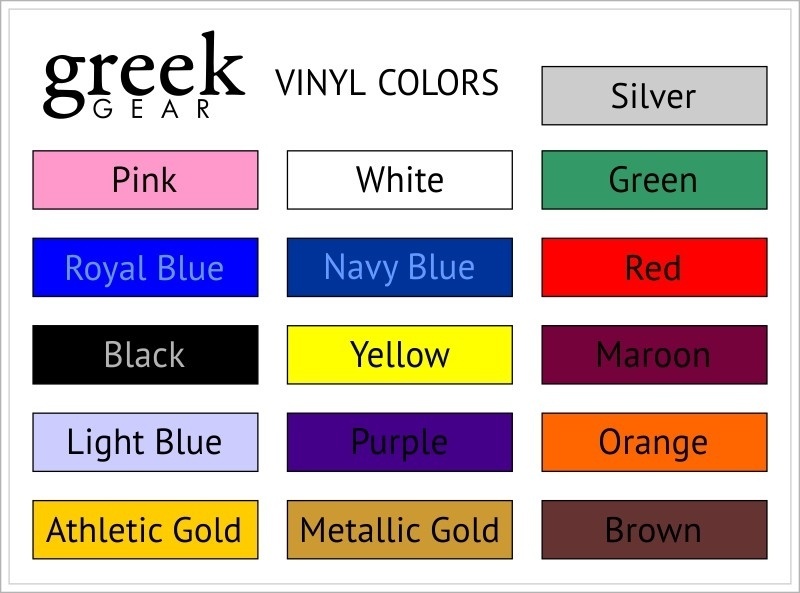 Welcome to GreekGear.com, where you can find all the Greek apparel and merchandise you need to represent your Fraternity & Sorority around campus or out on the town. Copyright © . Greekgear. All Rights Reserved. Site Design by EYStudios.